Cocooned in utmost luxury, adrift in your own 4-bedroom beach front home within one of Africa’s most beautiful coastal reserves. 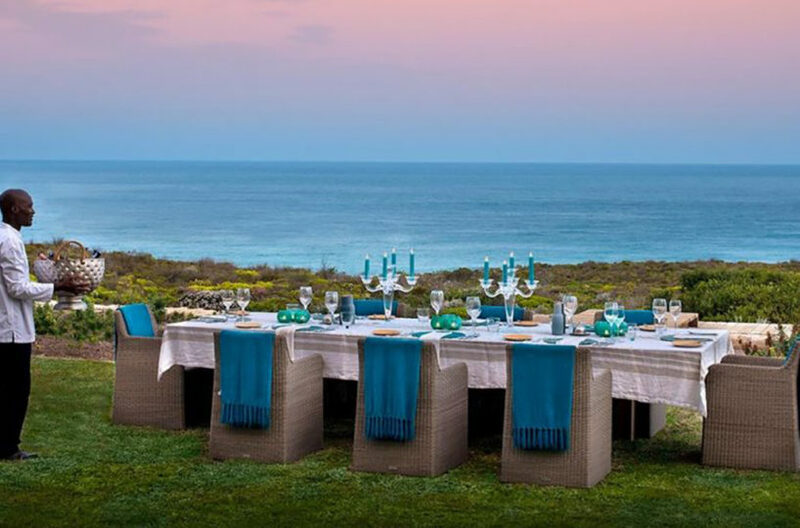 De Hoop offers 51km of pristine white beaches and dunes lapped by a warm Indian ocean, as well as limestone cliffs, rock pools, wetlands, coastal fynbos and home to more than 260 species of birds. You can have this all…to yourself! 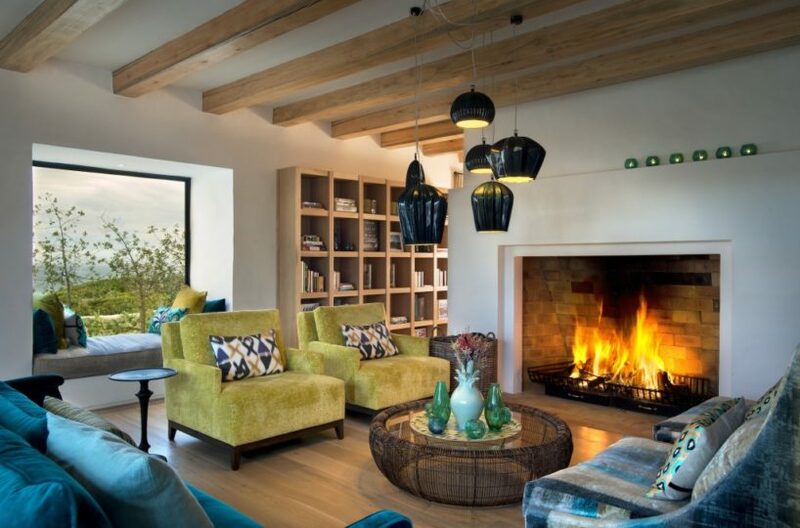 Morukuru Ocean House can accommodate 8 adults & 4 children (all ages are welcome!). 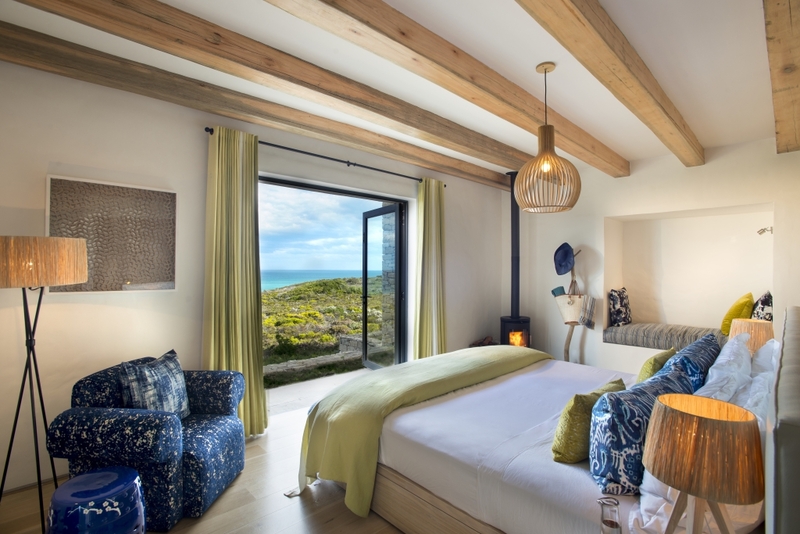 The 4 double bedroom suites all have their own en suite bathrooms and glass doors overlooking the ocean. The interior design is inspired by the surrounding fynbos dunes and is of the highest quality. 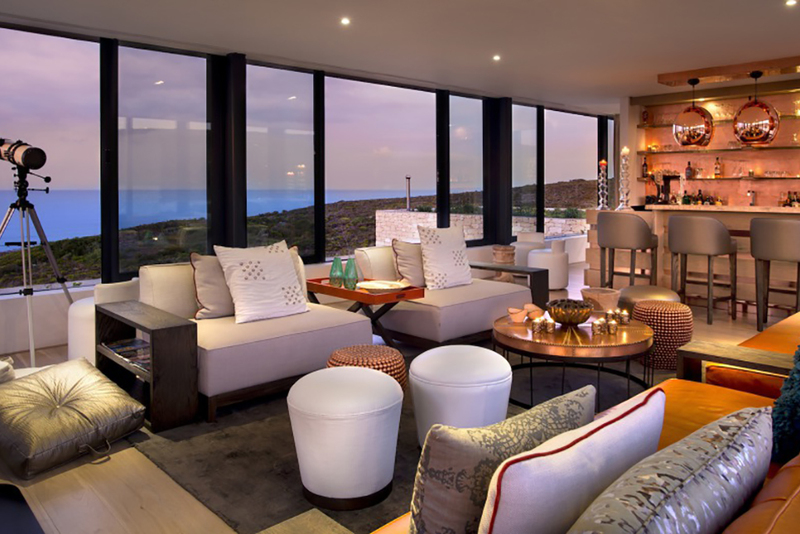 Morukuru Ocean House encapsulates amazing views, excellent service in absolute privacy, and a wide range of activities from guided marine walks and mountain-biking to sand boarding. 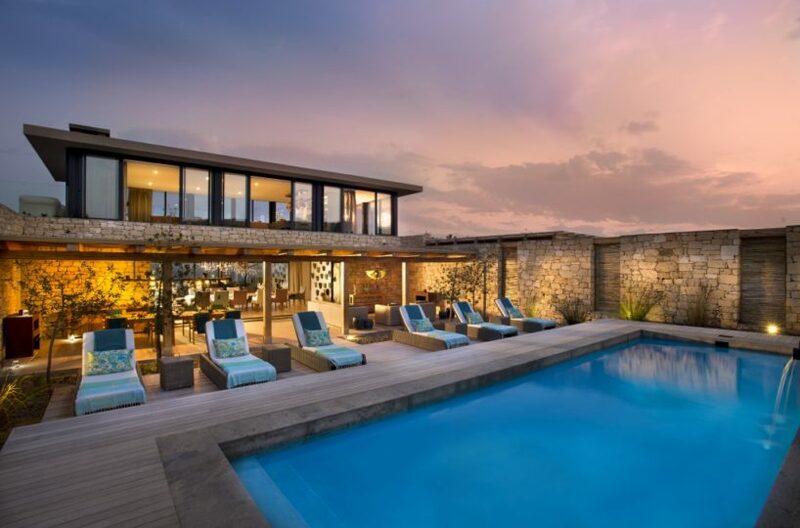 There are no schedules here, simply come and enjoy the sparkling pool, delicious food, lovely drinks served by your personal butler, your own private kitchen with chef, open plan lounge areas, dining areas, garden with amazing views, romantic fireplaces & lots more. Thanks to innovative eco house design, including the use of solar power and double glazed windows, Morukuru Ocean House is completely off the grid, relieving the tension between tourism and sustainability, thus offering guests five star luxury with limited damage to the environment. Morukuru Ocean House is very child friendly, we welcome children of all ages. We have based our whole ethos around hosting families or groups of close friends. Our junior guests are allowed on nature drives throughout the De Hoop Nature Reserve and are able to enjoy every magical aspect with their parents. Kids receive a Morukuru Family shell bag which they can use to store their collected shells in for the duration of their stay. Children are kept busy with baking, kiddieadventures, swimming and much more. We offer a babysitting service as well. Our chefs are meticulously trained and can provide a wide array of catering options from traditional, formal and nouvelle cuisine to utterly relaxed and casual snacks on demand and everything in between. All meals are included in the daily rate. We encourage our guests to eat ‘al fresco’ as much as our beautiful South African weather allows and we believe that every meal is an occasion. 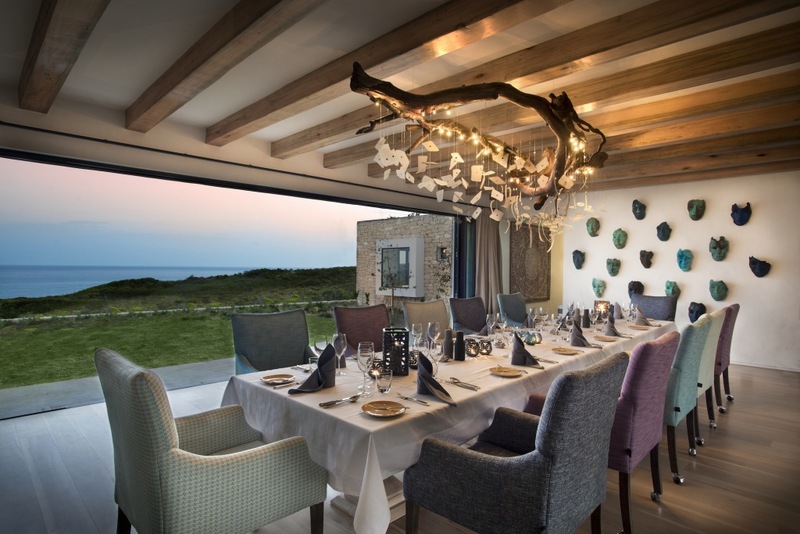 Guests are also able to personally select wines from our wine cellar to accompany and complement their meals. All drinks are included, with the exception of our ‘Reserve List’. Staying at Morukuru Ocean House is all about RECONNECTING. Family. Friends. Nature. You. Guided marine walks (1-3 hours), allowing you an insight in the amazing marine life in the rock pools in the immediate vicinity of Ocean House. Great for kids as well as parents! 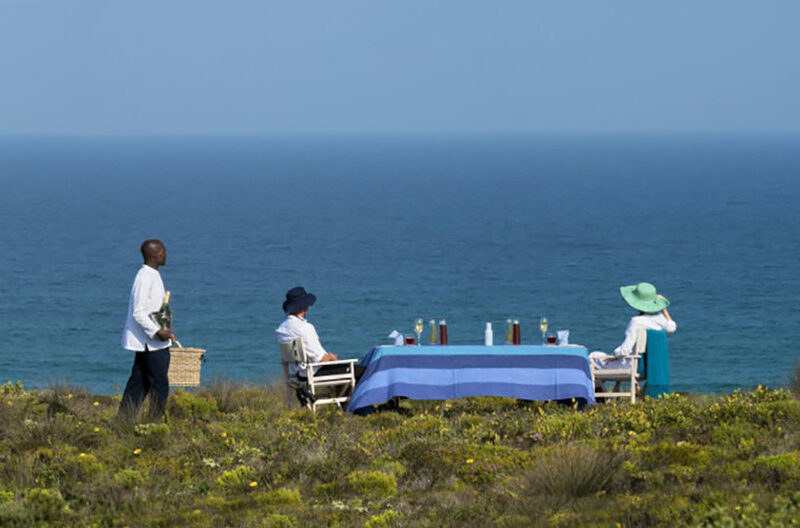 Guided fynbos walks and hikes (1-3 hours), showing the incredible diversity and beauty of the fynbos vegetation that is found in De Hoop Nature Reserve. Guided Mountain biking (1-3 hours), offering you an overview of the diversity of the area around Ocean House. Different routes are possible. 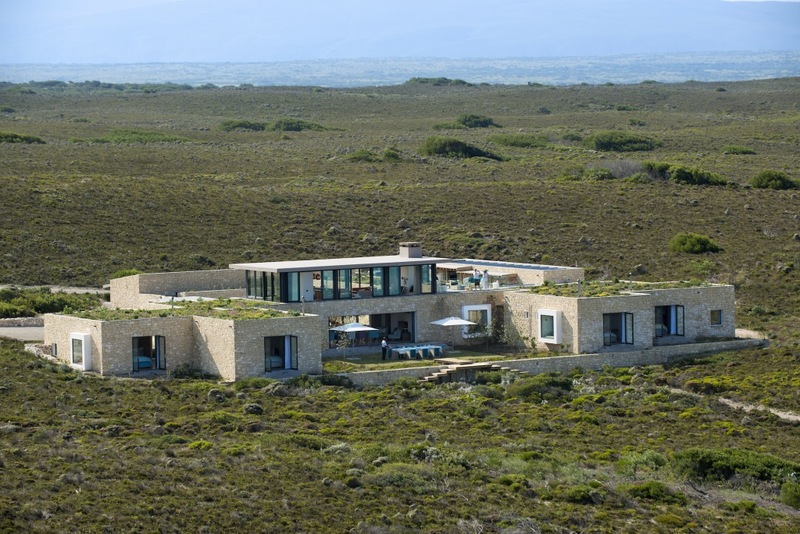 Guided 4×4 fynbos nature drives, which allow you to explore areas of De Hoop Nature Reserve which are situated a little further from Ocean House. These nature drives also offer a good opportunity to see some of the local wildlife in the park. And if you just feel like relaxing, we can offer a nice picnic down on the beach where you can spend a few hours lazing around, swimming and enjoying the views. 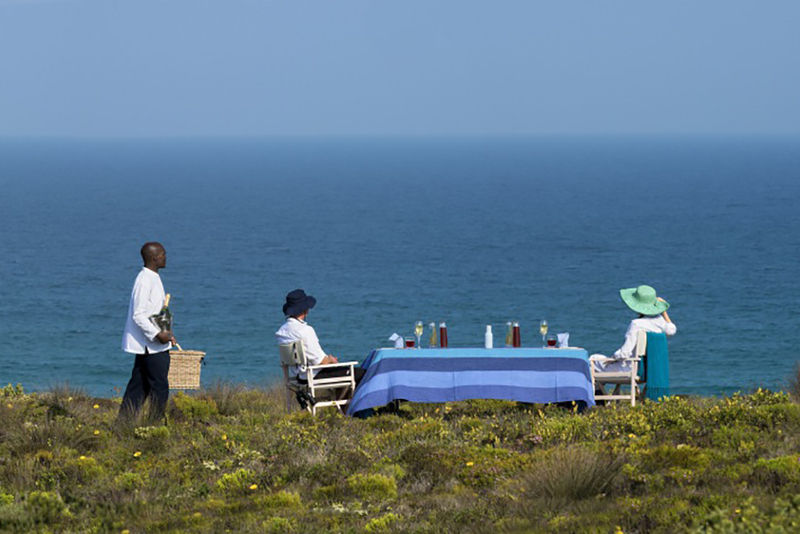 De Hoop Nature Reserve is reckoned to be the ultimate place in South Africa to see southern right whales. July to end of September is best for whalewatching, but you stand a very good chance of a sighting from June to early November. Rare or endangered animal species in the reserve include whales, dolphins, sharks and seals as well as the Bontebok and Cape Mountain Zebra. Other animals you may see are Eland, the Cape clawless otter, baboons, rock dassies and the occasional rooikat (caracal) and Cape leopard. The reserve is particularly known for its bird population, many of which – such as the endangered African Black Oystercatcher – breed within the reserve. The flora and fauna are impressive too – the fynbos floral kingdom dominates with 1500 species of plants in the reserve alone – also 86 species of mammal, 260 or more different birds, 14 amphibians and 50 reptile species.